Sun-seeking British of the 19th century left their mark all along the Riviera but perhaps nowhere more so than in the Italian town of Bordighera – famous for its perfect climate, seafront promenade, and palm trees. It was also a favorite resort of Claude Monet who stayed ten weeks here and painted thirty five landscapes in Bordighera and the neighbouring hills. Just a few miles along the coast we find two more popular British haunts – Monte Carlo and Nice. 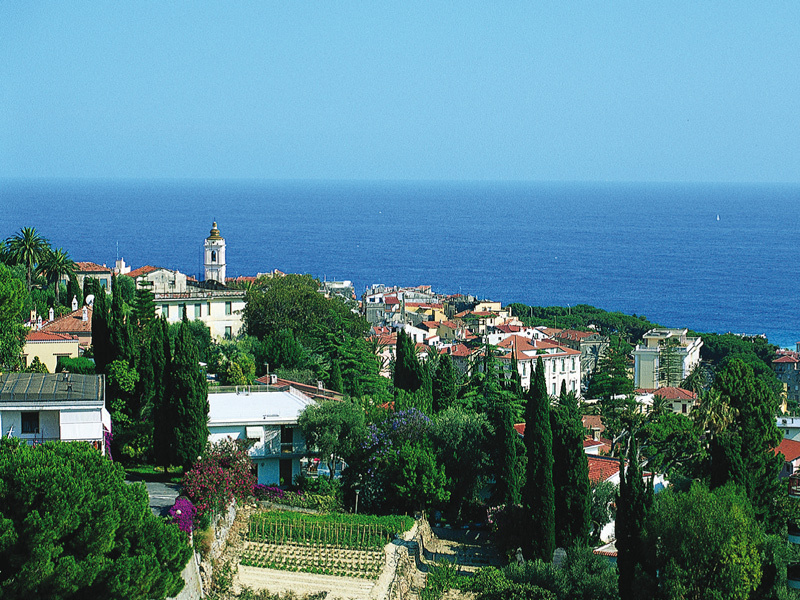 Flight to Nice and transfer to your hotel (45 minutes) in Bordighera for seven nights half board accommodation. On Day 2 there is a late morning walking tour pointing out the highlights of the town. Free in resort with three included excursions. Free time until you depart for the airport. Dependent on traffic conditions and flight timings, there may be time for some last- minute shopping in Nice en route. This comfortable hotel is family-run and stands right on the seafront promenade, just a short stroll from the town centre. Rooms have flatscreen tv with satellite channels, air-conditioning, private bath or shower, wc and hairdryer. Although the railway line passes 20 metres behind the hotel, there are very few trains overnight and in any case rooms are double glazed. The holiday price is based on mountain view. Side and full sea view rooms are available at a supplement. (www.hotelparigi.com). Free one hour session in the hotel wellness centre.